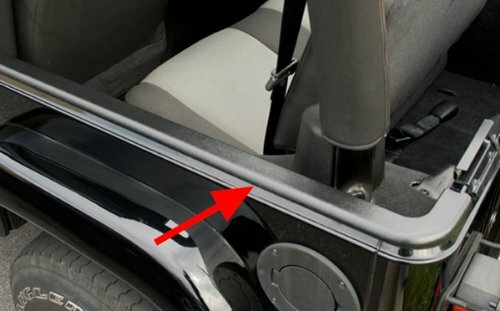 Add protection and a great finished look to your Jeep Wrangler with the Body Tub Rail Armor from Rugged Ridge. Top rails can be easily damaged when removing or installing your top, luggage, cargo or passengers. Constructed from durable UV treated thermoplastic Body Tub Rail Armor guards against chips and scratches. Each Body Armor attaches easily with automotive grade adhesive double sided tape. No drilling required! Installs in minutes and can be used to cover existing cosmetic damage.